This short loop of the lower South Island begins with a visit to the Mackenzie high country and the sparkling turquoise waters of Lake Tekapo. With spectacular views towards Mt. Cook National Park, continue south to New Zealand's adventure resort town of Queenstown and enjoy a day exploring the area. Return to Christchurch via the West Coast, with a stunning crossing of the Southern Alps on board the TranzAlpine scenic train. 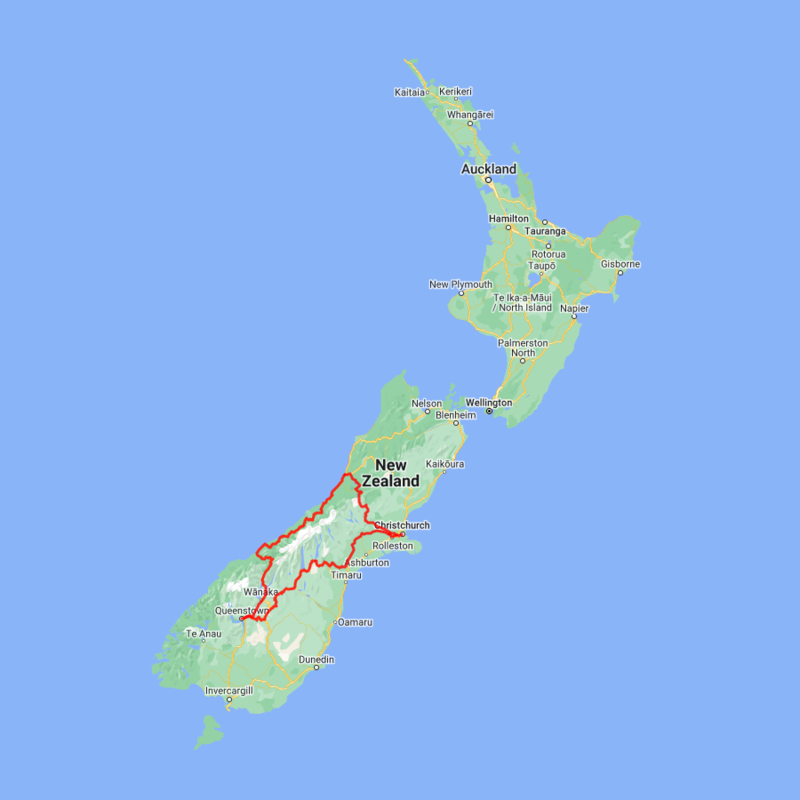 You can expect to spend around NZ$147 in fuel cost on this itinerary based on an intermediate sized car. Earth and Sky Stargazing tour departs nightly from the office in the Lake Tekapo township. Travel to the Mt John observatory high above the village where you will explore features of the majestic Southern Sky. Earth and Sky provide the equipment and the guidance, all you need to bring are keen eyes, warm clothes and a desire to see, learn, and experience. Navigating your way through the Southern Sky using various telescopes and the naked eye, you will see amazing sights such as our own Milky Way Galaxy, the Southern Cross, Alpha-Centauri - our closest neighbouring star at only 4.3 light years away, and Sirius - the brightest star in our sky. Behold and learn about our closest neighbouring galaxies, the Magellanic Clouds, which grace our night sky along with constellations such as Orion the Hunter and Scorpius. You may also have the opportunity to see star clusters like the beautiful Jewel Box; awe inspiring planets; nebulae, immense clouds of gas and dust; and distant galaxies which test the limits of human imagination.